Hey friends, hope you had an excellent weekend and are ready to charge into the week ahead! Mark & I had a wonderful weekend away thanks to our amazing parents who took care of the kiddos and dog and house for us, we couldn’t be more blessed and grateful. 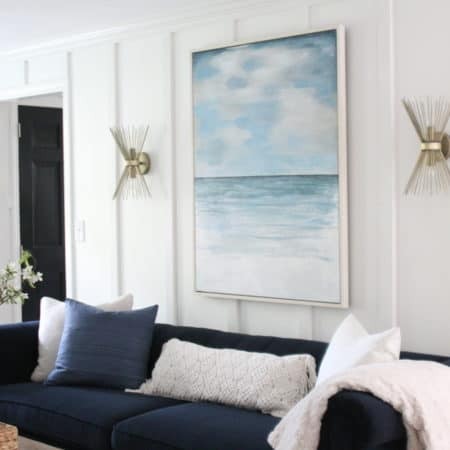 We left Friday and came home Sunday – just a little getaway to the Cape, where we actually had conversations that did not involve the logistics of getting our children to their games and practices, or what to get at the grocery store, or which bills came in the mail. We ate, took long walks on beautiful Cape Cod beaches, ate, read, and then ate some more. We stayed here and it was perfectly quiet before the summer season begins. Our friends have a summer home in the area that we stayed and made some great restaurant recommendations to us. 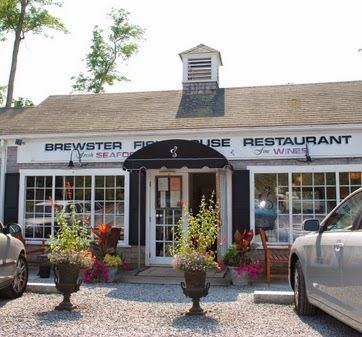 One of our favorite new-to-us eateries was the Brewster Fish House. 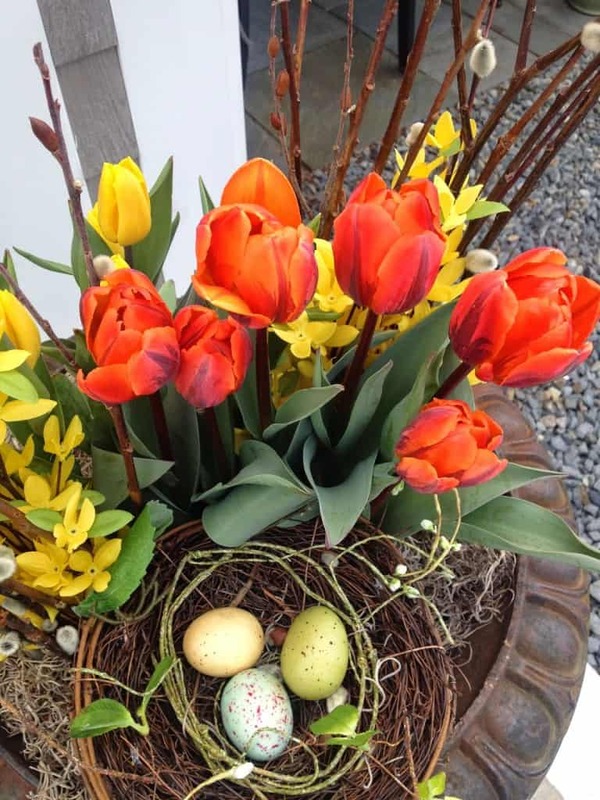 Aside from the amazing seafood lunch we had here (mussels for Mark and this insanely gourmet, delicious crabcake with homemade orange marmalade sauce for me), their pretty early spring flower pots were so pretty, and got me thinking about my urns at home. 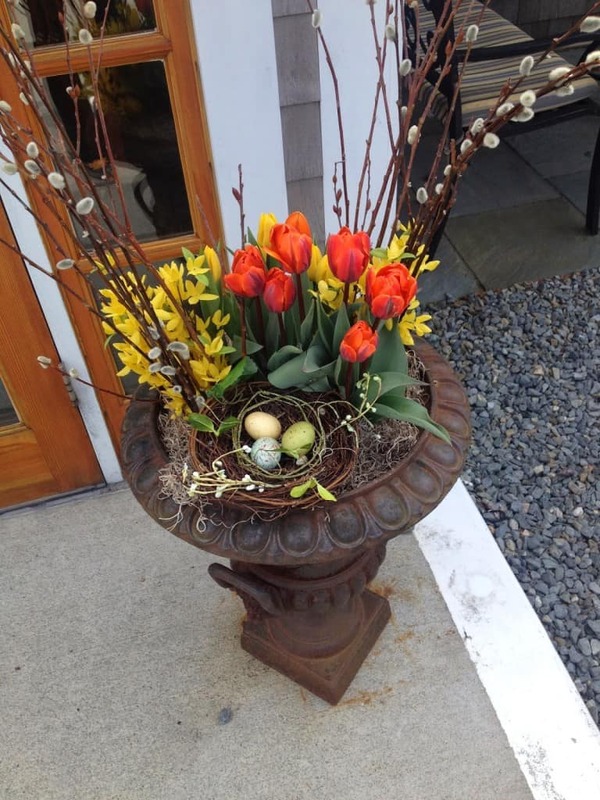 I like how the fresh tulips were fortified with faux forsythia, because it’s still early for container gardening around here. I’m guessing the tulips are still in a plastic container under the moss, so they can be brought inside if a frost is imminent. I am not a faux plant fan, but if ever there is a time for them, it’s Easter. Aren’t those colors so joyful? I can’t wait to get my hands dirty and bring some greenery to my front door and deck. Do you like to container garden too? 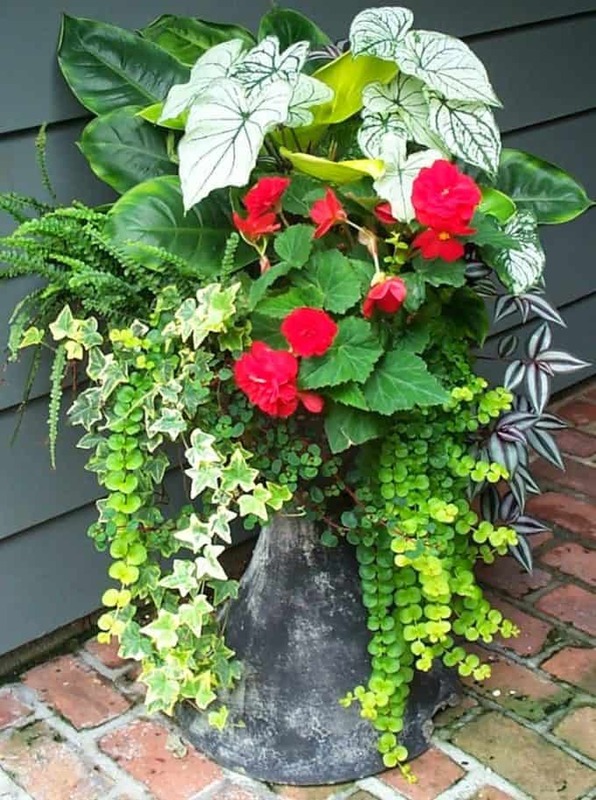 Alyssa at 33 Shades of Green has a lovely way with container gardening. 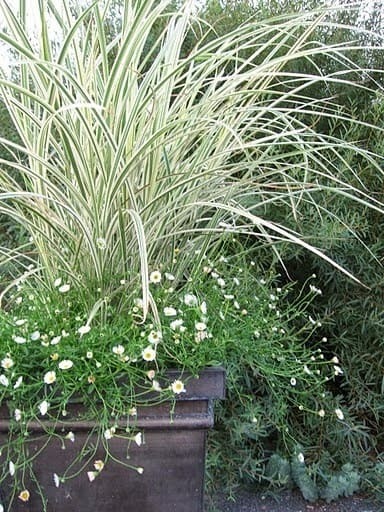 I absolutely love sea grass and think it would be fabulous in a big container like this. 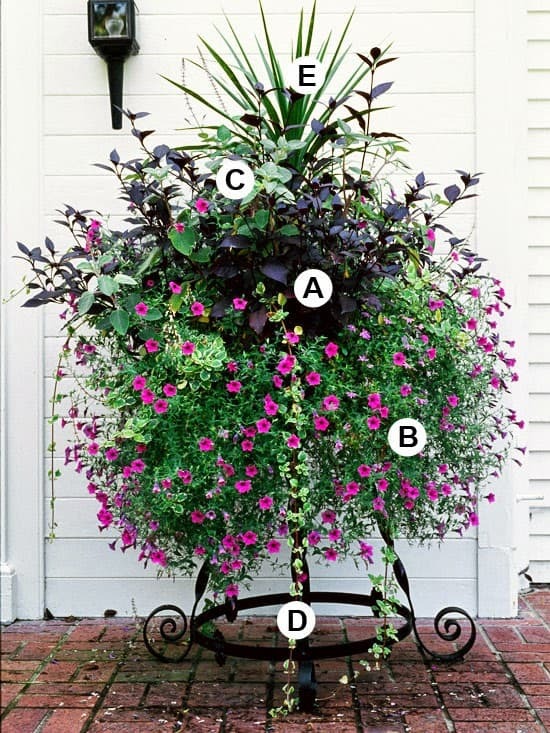 Better Homes & Gardens’ guides to planting gardens and containers absolutely rock. 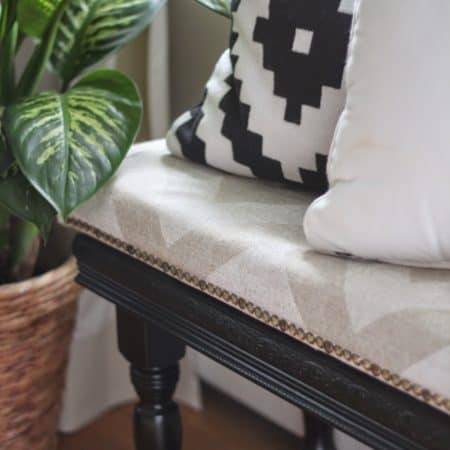 The site has tons (TONS) of inspiration photos that include the names of plants so you can recreate the look yourself. From past experience I would recommend making a list of several plants that are similar in nature (a spiller, for example) in case you can’t find a specific plant at your local nurseries. Now that I’m back to reality, guess what this lucky girl is doing? 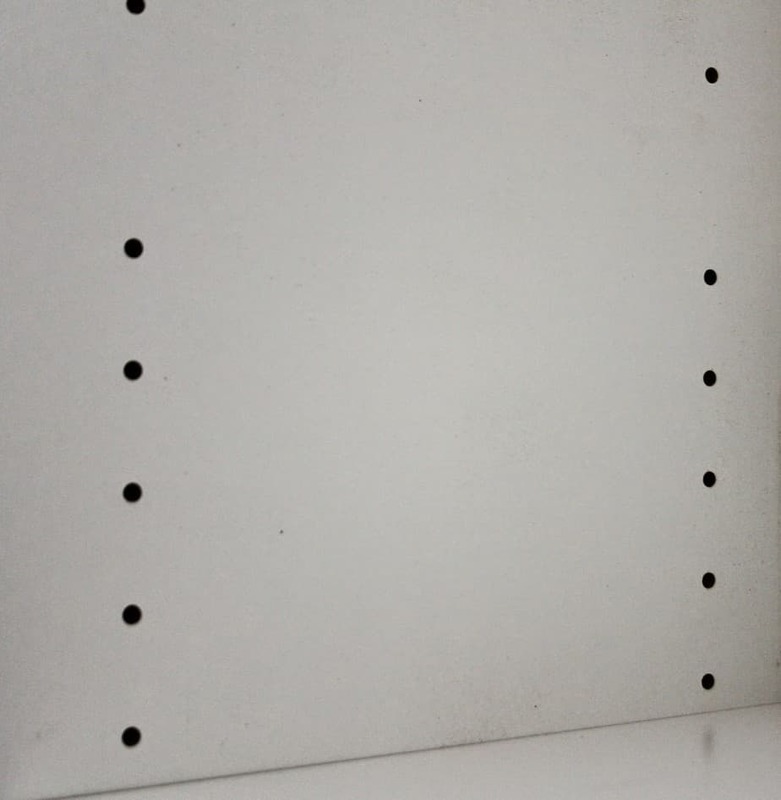 That’s right, filling 224 unwanted shelf bracket holes; it’s tedious, but oh what a difference that detail makes! If you are heading to the lower Cape and want some great restaurant recommendations, drop me a line! Happy week ahead my dears! So glad you enjoyed a wonderful weekend away – what a treat! Such pretty inspiration, however we've got about a month to go before it's safe for planting, I need to get out of my rut and try something new in my pots and window boxes! Isn't a weekend away with your spouse such a luxury? We had a birthday getaway in March, and it's always so nice to be reminded that I really love spending time with my husband without all of the usual "noise" of daily life. 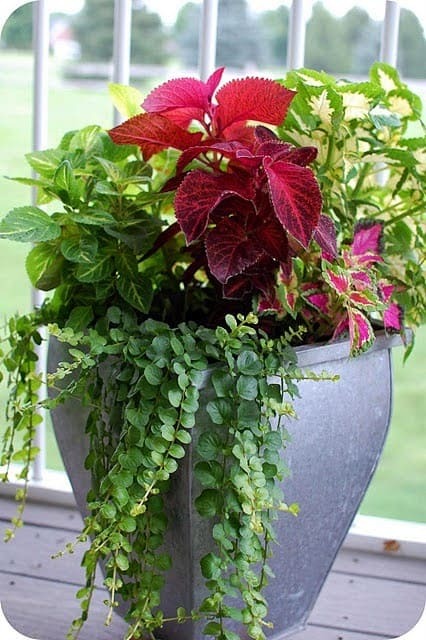 I love container gardening, it's probably one of my favorite spring things to do. Figuring out the colors I want to go with, picking out the flowers, etc… It's always such a great way to spruce up the outdoors! Thanks for sharing! I agree that everyone deserves the kind of getaway you just had with you hubs Lisa, it really looked like you had a wonderful time and hope you get to do it again soon! 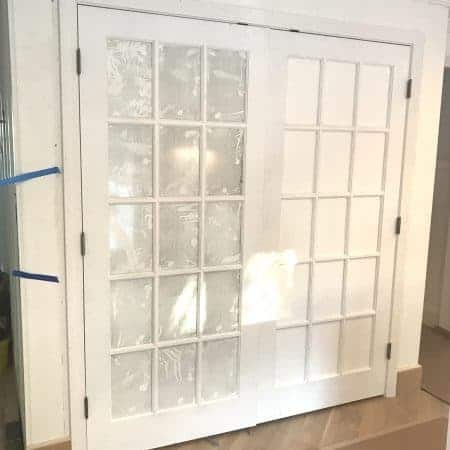 Love the ideas you shared here for the containers, I have 4 on my front door but have yet to fill them up soon, this will be a great jumping off point if I have the courage for it! Thanks! I agree, with you those holes, can't wait to see it all on Thursday! That's a lot of holes! 🙂 I'm so glad you all got a getaway – those are so important. The hubs and I have one next month and I am counting down the hours! what a great weekend away!!! and i love all of those overflowing urns! That resort you stayed at looks fabulous! I've become lazy and plopped a huge fern in my big urns the past few years, but these are all such gorgeous examples! I'm glad I haven't done much yet, we're expecting a record low of 26 tonight! 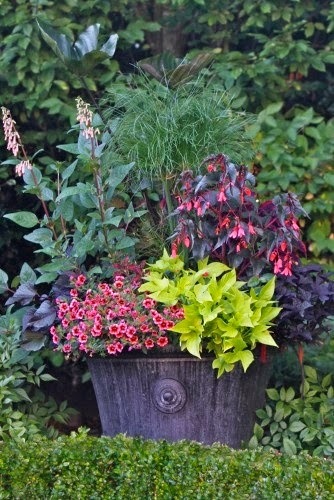 I love container gardens. 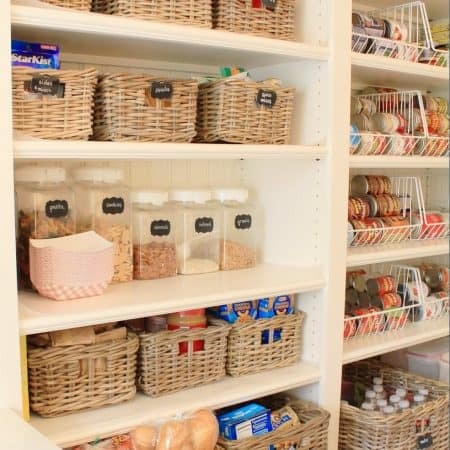 I have several empty containers in need of some love, so your inspiration came in handy. Our crazy winter killed the potted beauties the previous owner left behind for us. Now it's up to me. I've already raided Lowe's clearance section to try to make them pretty again. Time will tell. ha! Glad to hear you and the hubs had a fun weekend. Much deserved, I'm sure! So glad that you had a great trip – those weekend getaways without the kids are a must from time to time! I can't wait to get some flowers going outside and love all of your inspiring ideas for container gardening! Good luck with filling those holes – what a beast of a job!